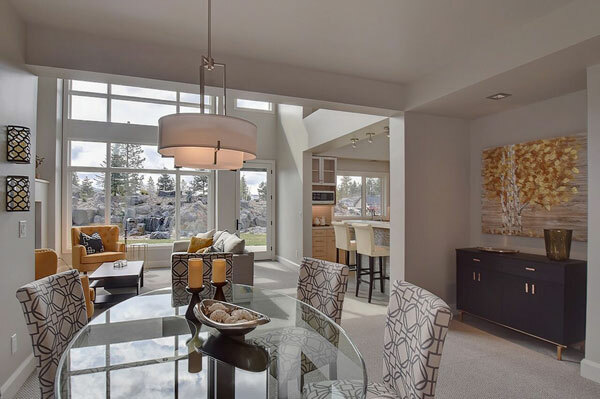 The design philosophy for Bella Terra homes is a combination of elegance, simplicity, function and flexibility. We focused on creating townhomes with a contemporary feel, while embodying traditional values of craftsmanship and integrity, and carefully avoiding trendy elements that are popular today but may look dated in five or ten years. We insured that all space in the townhome would be functional and efficient in order to provide abundant features while remaining modest in size. The garden and residences have been designed in a fully integrated manner, and we are constructing the Bella Terra townhouses ourselves in order to insure that the integrated design is faithfully executed. While the structural quality and external finish will be consistent for all units, we provide an unusually wide range of choices in size, layout and features. These include ground floor living, a stunning second-story terrace, kitchen options and a large three-story family townhome able to accommodate a greater number of overnight guests. Bella Terra townhomes range in size from 1538 square feet to 3,858 square feet, with one, two, or three stories. We designed Bella Terra for ease of living. The grounds, roads, and exterior finishes are professionally maintained, freeing residents from yard work and outdoor maintenance. Residents can travel worry-free, knowing their home is within the security of a gated community (the road gate has an access control system) and the homes are prewired to allow a monitored security system, if desired. The Emerson Townhome is our most flexible and dynamic model with floor plan options on each level. The main living space is on the second floor, but the ground floor offers four distinct floor plans, including a “home within a home” living area for an elderly parent, adult child, nanny, an owner with a temporary physical limitation, or guests. In addition, all Emerson Townhomes are elevator-ready or the elevator can be installed during initial construction. At Bella Terra, we have carefully crafted a balance between privacy and community. For instance, each townhouse has independent walls for sound insulation – there are no true common walls. Also, townhouses with terraces are designed for privacy from neighboring homes. When residents are outside their homes, the pathways, view points, gathering places and harvesting of food crops from the garden help promote familiarity with neighbors and build a sense of community. In addition, the opportunity to serve on the Homeowner’s Association Board or on one of the various sub-committees gives homeowners a voice and ability to shape their community. To contact us for more information about Bella Terra, click here.